Includes handle and a double ended 5.5mm Slotted/#2 Phillips x 60mm screwdriver bit. I have been looking for a stubby with better grip and a better hold on the bit. Every body has the klien one but have a problem with dropping the bit from heights . I took a chance on this one when I saw it on Instagram and let me tell you it gets the job done thank you . The quality of the blade is second to none, grips the screw head very well and doesn't slip. Looks good and it's nice to minimize the amount of tools you have to carry when you can. The best reversible blade screwdriver for the price. German quality in engineering and manufacturing. 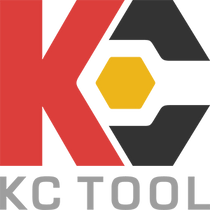 KC Tool has a great line of tools and they conduct their business in a professional matter. Felo offers great tools and this reversible blade screwdriver is another example. Well made, compact and precise.